At Hotel 322 Lambermont you will find everything you need for a successful and comfortable stay in Brussels. 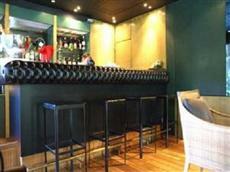 Hotel 322 Lambermont is located just outside the city centre of Brussels. You stay in a green residential neighbourhood with broad avenues full of elegant houses. Park Josaphat, one of the biggest parks of Brussels is situated just opposite the hotel. The park is the ideal place for walking, jogging, relaxing or recreation. NATO headquarters, Brussels Airport (Zaventem), the European Institutions and the most important business centres and trade fairs of Brussels are located nearby. Whether for business, professional reasons or for leisure, Hotel 322 Lambermont and its neighbourhood offer you everything you need during your stay in Brussels; nice restaurants, fine bars, shops, leisure and much more. Should you wish to visit the centre, just ask our staff for directions and they will be happy to assist you. Bus and tram stops are right next to our hotel. Choosing for Hotel 322 Lambermont means enjoying Europe's Capital whilst being away from the traffic and noise of the city centre. Work and relax in comfortable and stylish surroundings and enjoy your stay at Hotel 322 Lambermont.